The “first-time homebuyer credit” isn’t just for first-time homebuyers anymore. Thanks to a new tax law change, longtime homeowners may also qualify. Under the new “Worker, Homeownership and Business Assistance Act of 2009,” you must complete the purchase of the home before May 1, 2010. If you secure a binding contract before May 1, you actually have until June 30, 2010 to finalize the sale. Best of all, you don’t have to wait until you file your 2010 tax return to reap the rewards. You can claim the credit on your 2009 return — even if you buy the home in 2010. 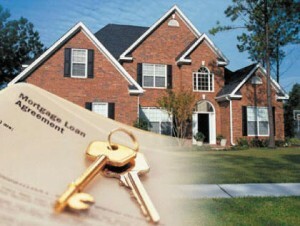 Taypayers who claim the first-time homebuyer credit on their 2009 returns will not be able to file electronically. The credit is available to more taxpayers. Previously, it was limited to “first-time homebuyers” who did not own a principal residence for three years prior to purchasing a home. For purchases after Nov. 6, 2009, you may qualify for a maximum $6,500 credit if you’ve owned and used a home as your principal residence for any five consecutive years during the last eight years. The replacement home doesn’t have to cost more than the old one. The credit isn’t available for a home purchased from your spouse or your spouse’s relatives. This extends the rule denying the credit for purchases from your own lineal ancestors or descendants. To curb abuses, homebuyers must provide proof of purchase (i.e., an HUD-1form). The homebuyer (or spouse) must be at least 18 years and can’t be claimed by someone else as a dependent. The revamped homebuyer credit is available to a much wider group of taxpayers. Call our office to determine whether you or another family member is eligible. We can also answer any additional questions relating to the new homebuyer credit that you might have.